The longest lunar eclipse of the 21st century is confirmed to take place tonight, Friday. The partial eclipse of the moon will begin at 11.54 pm on July 27 and the total eclipse will begin at 1 am on July 28. The copper-red eclipsed moon will pair up with the Red Planet in its ‘opposition’, in which the Sun and Mars will lie opposite each other, with Earth standing in between. The total lunar eclipse will be visible from Assam and the rest of the northeast, along with other parts of the country. 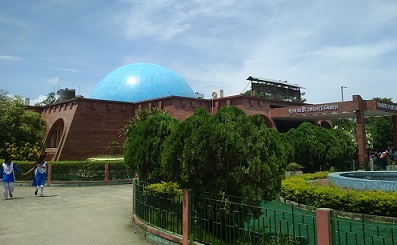 Guwahati Planetarium have made special arrangements to show the planetary movements (special segment) from 6:30 pm to 7:30 pm from July 1, 2018.